Action Alert: Act Now to Stop the Nickel Strip Mine! 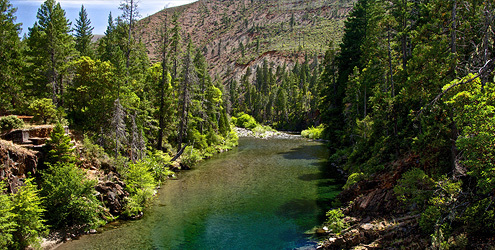 Help stop nickel strip mines in the wild and scenic Smith River ecosystem. Making your voice heard by submitting a comment during this critical public comment period, which ends September 28, 2015. The Southwestern corner of Oregon contains the headwaters of the premier wild rivers in the West. Alive with salmon, with water sparkling like emeralds as it flows through forested canyons to the ocean, these rivers are important fish and wildlife habitat and provide life sustaining clean drinking water that local communities depend on. The Obama Administration is considering protection for roughly 100,000 acres of public land by withdrawing the land from mining for five years while Congress considers legislation—The Southwest Oregon Watershed and Salmon Protection Act—for more lasting protection. The “mineral withdrawal” will protect against new mining claims and require existing claims are tested to determine legitimacy.